Any golfer will tell you the same story about wanting to putt like a pro in golf. They’re on the green and ready to make their putt, and something goes wrong. They’re trying to relax, but something seems off. The golfer attempts the putt but their arms move wrong, and they miss the putt. This can ruin the mood of the entire game. When you make a bad putt, you can immediately tell it’s not going to make it. Pro golfers have off days on the green, but most of the time, they make their putts. This leads to the question, ‘What do they know that other golfers don’t know?” What allows pro golfers to make their putts, even under immense pressure? The answer is knowing how to prepare their mind for the putt before they do it. A pro golfer has learned how to train their mind. They lay blueprints for each putt in their mind before they attempt the putt. Thinking about the perfect path for the putt to follow is a powerful tool. You have to concentrate on your desired movements in your mind for this technique to work. This allows you to form and perfect a mental path and smooth out any bumps along the way. When it comes time to make the putt, your mind will know what path it has to take. This will lower your anxiety and allow you to focus on making your putt. You have to train your instincts to enter the zone and feel relaxed when you attempt a putt. 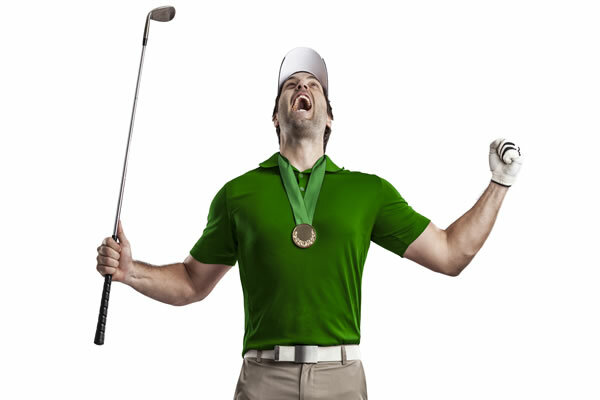 Hypnosis is a valuable training tool because it allows you to putt like a pro in golf every time. Each time you practice your putting hypnotically, you’ll make the perfect putt. This technique will teach your mind how to get into the zone automatically. You’ll feel yourself relax and your instincts will take over. You’ll also gain confidence through hypnosis. This will carry over into your round of golf. By using our hypnotherapy sessions to Putt Like a Pro,” you’ll train your instincts to relax when you’re on the green. This relaxed state will allow you to putt like a pro in golf, almost effortlessly. Hypnotherapy is designed to give its users an edge to perform better, and you should see results quickly. Want to Remove the Pressure when Putting? and putt like a pro!